The Turkic peoples are a collection of ethno-linguistic groups of Central, Eastern, Northern and Western Asia as well as parts of Europe and North Africa. They speak related languages belonging to the Turkic language family. They share, to varying degrees, certain cultural traits, common ancestry and historical backgrounds. In time, different Turkic groups came in contact with other ethnicities, absorbing them, leaving some Turkic groups more diverse than the others. Many vastly differing ethnic groups have throughout history become part of the Turkic peoples through language shift, acculturation, intermixing, adoption and religious conversion. In their genetic compositions, therefore, most Turkic groups differ significantly in origins from one group to the next. Despite this, many do share, to varying degrees, non-linguistic characteristics, including certain cultural traits, some ancestry from a common gene pool, and historical experiences. The most notable modern Turkic-speaking ethnic groups include Turkish people, Azerbaijanis, Uzbeks, Kazakhs, Turkmen and Kyrgyz people. North Asia or Northern Asia, sometimes also referred to as Siberia or Eurasia, is partly a subregion of Asia, consisting of the Russian regions east of the Ural Mountains: Siberia, Ural and the Russian Far East. The region is sometimes also known as Asian Russia. North Asia is bordered to the north by the Arctic Ocean, to the west by Eastern Europe, to the south by Central and East Asia and to the east by the Pacific Ocean and North America. North Asia covers an area of approximately 13,100,000 square kilometres (5,100,000 sq mi) or 8.8% of the earth's land area, or 1.5 times the size of Brazil. It is the largest subregion of Asia by area, but is also the least populated, with an approximate total population of only 33 million people or 0.74% of Asia’s population. North Asia is solely administrated by Russia, and makes up more than 75% of the territory of the country, but only 22% of its population, at a density of 2.5 people per km2. 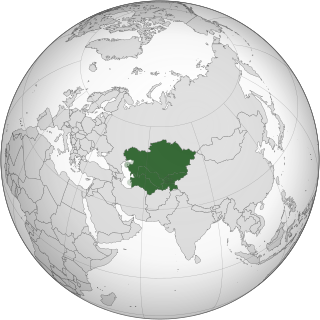 The region of Western Siberia and occasionally Kazakhstan is usually called Northwestern Asia or Northwest Asia;, although the name sometimes refers to Caucasus or nearby provinces. The first known mention of the term Turk (Old Turkic: ౅ఇ఼ర Türük    or ౅ఇ఼ర:జఇఛ Kök Türük   Chinese :突厥, Old Tibetan: duruggu/durgu (meaning "origin"),   Pinyin: Tūjué, Middle Chinese (Guangyun): [tʰuot-küot]) applied to a Turkic group was in reference to the Göktürks in the 6th century. A letter by Ishbara Qaghan to Emperor Wen of Sui in 585 described him as "the Great Turk Khan." The Orhun inscriptions (735 CE) use the terms Turk and Turuk. Old Tibetan refers to the period of Tibetan language reflected in documents from the adoption of writing by the Tibetan Empire in the mid-7th century to works of the early 11th century. The Spring and Autumn Annals or Chunqiu is an ancient Chinese chronicle that has been one of the core Chinese classics since ancient times. The Annals is the official chronicle of the State of Lu, and covers a 241-year period from 722 to 481 BC. It is the earliest surviving Chinese historical text to be arranged in annals form. Because it was traditionally regarded as having been compiled by Confucius, it was included as one of the Five Classics of Chinese literature. The Di or Beidi were various ethnic groups who lived north of the Chinese (Huaxia) realms during the Zhou dynasty. Although initially described as nomadic, they seem to have practiced a mixed pastoral, agricultural, and hunting economy and were distinguished from the nomads of the Eurasian steppe (Hu) who lived to their north. Chinese historical accounts describe the Di inhabiting the upper Ordos Loop and gradually migrating eastward to northern Shanxi and Hebei, where they eventually created their own states like Zhongshan and Dai. Other groups of Di seem to have lived interspersed between the Chinese states before their eventual conquest or assimilation. Pomponius Mela, who wrote around AD 43, was the earliest Roman geographer. He was born in Tingentera and died c. AD 45. The earliest Turkic-speaking peoples identifiable in Chinese sources are the Dingling, Gekun (Jiankun), and Xinli, located in South Siberia. The Chinese Book of Zhou (7th century) presents an etymology of the name Turk as derived from "helmet", explaining that this name comes from the shape of a mountain where they worked in the Altai Mountains. According to Persian tradition, as reported by 11th-century ethnographer Mahmud of Kashgar and various other traditional Islamic scholars and historians, the name "Turk" stems from Tur, one of the sons of Japheth (see Turan). The Book of Zhou records the official history of the Chinese/Xianbei ruled Western Wei and Northern Zhou dynasties, and ranks among the official Twenty-Four Histories of imperial China. Compiled by the Tang Dynasty historian Linghu Defen, the work was completed in 636 CE and consists of 50 chapters, some of which have been lost and replaced from other sources. The Altai Mountains, also spelled Altay Mountains, are a mountain range in Central and East Asia, where Russia, China, Mongolia, and Kazakhstan come together, and are where the rivers Irtysh and Ob have their headwaters. 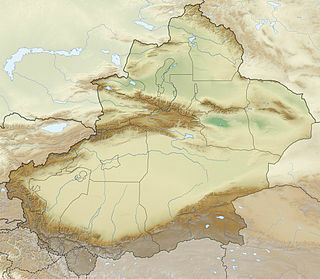 The massif merges with the Sayan Mountains in the northwest, and gradually becomes lower in the southeast, where it and merges into the high plateau of the Gobi Desert. It spans from about 45° to 52° N and from about 84° to 99° E.
The Scythians, also known as Scyth, Saka, Sakae, Sai, Iskuzai, or Askuzai, were Eurasian nomads, probably mostly using Eastern Iranian languages, who were mentioned by the literate peoples to their south as inhabiting large areas of the western and central Eurasian Steppe from about the 9th century BC up until the 4th century AD. The "classical Scythians" known to ancient Greek historians, agreed to be mainly Iranian in origin, were located in the northern Black Sea and fore-Caucasus region. Other Scythian groups documented by Assyrian, Achaemenid and Chinese sources show that they also existed in Central Asia, where they were referred to as the Iskuzai/Askuzai, Saka, and Sai, respectively. It is generally agreed that the first Turkic people lived in a region extending from eastern Central Asia to Siberia, with the majority of them living in today China. A ethnolinguistic study (Robbeets et al. 2017) claims that the Turkic people originated somewhere in northwestern Manchuria and later adopted a nomadic lifestyle and started a migration to the west. Another study, based on genetic data of ancient Turkic samples, suggest and origin and homeland somewhere in Northeastern China. Turkic peoples originally used their own alphabets, like Orkhon and Yenisey runiforms, and later the Uyghur alphabet. Traditional national and cultural symbols of the Turkic peoples include wolves in Turkic mythology and tradition; as well as the color blue, iron, and fire. Turquoise blue (the word turquoise comes from the French word meaning "Turkish") is the color of the stone turquoise still used in jewelry and as a protection against the evil eye. Suleiman I taking control of Moldova. Babur, founder of the Mughal Empire and Mughal emperor Humayun. Tamerlane and his forces advance against the Golden Horde, Khan Tokhtamysh. A Mamluk nobleman from Aleppo. The Delhi Sultanate is a term used to cover five short-lived, Delhi-based kingdoms three of which were of Turkic origin in medieval India. These Turkic dynasties were the Mamluk dynasty (1206–90); the Khalji dynasty (1290–1320); and the Tughlaq dynasty (1320–1414). Southern India, also saw many Turkic origin dynasties like Bahmani Sultanate, Adil Shahi dynasty, Bidar Sultanate, Qutb Shahi dynasty, collectively known as Deccan sultanates. In Eastern Europe, Volga Bulgaria became an Islamic state in 922 and influenced the region as it controlled many trade routes. In the 13th century, Mongols invaded Europe and established the Golden Horde in Eastern Europe, western & northern Central Asia, and even western Siberia. The Cuman-Kipchak Confederation and Islamic Volga Bulgaria were absorbed by the Golden Horde in the 13th century; in the 14th century, Islam became the official religion under Uzbeg Khan where the general population (Turks) as well as the aristocracy (Mongols) came to speak the Kipchak language and were collectively known as "Tatars" by Russians and Westerners. This country was also known as the Kipchak Khanate and covered most of what is today Ukraine, as well as the entirety of modern-day southern and eastern Russia (the European section). The Golden Horde disintegrated into several khanates and hordes in the 15th and 16th century including the Crimean Khanate, Khanate of Kazan, and Kazakh Khanate (among others), which were one by one conquered and annexed by the Russian Empire in the 16th through 19th centuries. The Chagatai Khanate was the eastern & southern Central Asian section of the Mongol Empire in what is today part or whole of Tajikistan, Afghanistan, Turkmenistan, Kazakhstan, Uzbekistan, Kyrgyzstan, and Xinjiang ("Uyghurstan"). Like the Moghulistan and Golden Horde, the Chagatai Khanate became a Muslim state in the 14th century. The Timurid Empire were an Uzbek-based Turkic empire founded in the late 14th century by Timurlane, a descendant of Genghis Khan. Timur, although a self-proclaimed devout Muslim, brought great slaughter in his conquest of fellow Muslims in neighboring Islamic territory and contributed to the ultimate demise of many Muslim states, including the Golden Horde. The Afsharid dynasty was named after the Turkic Afshar tribe to which they belonged. The Afshars had migrated from Turkestan to Azerbaijan in the 13th century. The dynasty was founded in 1736 by the military commander Nader Shah who deposed the last member of the Safavid dynasty and proclaimed himself King of Iran. Nader belonged to the Qereqlu branch of the Afshars. During Nader's reign, Iran reached its greatest extent since the Sassanid Empire. Turkic peoples like the Karluks (mainly 8th century), Uyghurs, Kyrgyz, Kazakhs, and Turkmens later came into contact with Muslims, and most of them gradually adopted Islam. Small groups of Turkic people practice other religions, including their original animistic-shamanistic religion, Christianity, Jews (Khazars), Buddhism and a small number of Zoroastrians. The Muslim Kara-Khanid Turks performed a mass conversion campaign against the Buddhist Uyghur Turks during the Islamicisation and Turkicisation of Xinjiang. The Arab Muslim Umayyads and Abbasids fought against the pagan Turks in the Turgesh Khaganate in the Muslim conquest of Transoxiana in addition to the still dominant Iranian peoples in the region. 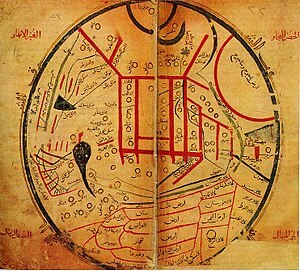 The Muslims built ribats (military fortifications) against the non-Muslim Turks in Transoxiana. The Ottoman Empire gradually grew weaker in the face of poor administration, repeated wars with Russia and Austro-Hungary, and the emergence of nationalist movements in the Balkans, and it finally gave way after World War I to the present-day Republic of Turkey. Ethnic nationalism also developed in Ottoman Empire during the 19th century, taking the form of Pan-Turkism or Turanism. The Turkic peoples of Central Asia were not organized in nation-states during most of the 20th century, after the collapse of the Russian Empire living either in the Soviet Union or (after a short-lived First East Turkestan Republic) in the Chinese Republic. In 1991, after the disintegration of the Soviet Union, five Turkic states gained their independence. These were Azerbaijan, Kazakhstan, Kyrgyzstan, Turkmenistan, and Uzbekistan. Other Turkic regions such as Tatarstan, Tuva, and Yakutia remained in the Russian Federation. Chinese Turkestan remained part of the People's Republic of China. Immediately after the independence of the Turkic states, Turkey began seeking diplomatic relations with them. Over time political meetings between the Turkic countries increased and led to the establishment of TÜRKSOY in 1993 and later the Turkic Council in 2009. Turkic ethnic groups are prominent in the world today and there have been Turkic nations in the past. Descriptive map of Turkic peoples. Countries and autonomous subdivisions where a Turkic language has official status or is spoken by a majority. Today most of the Turkic peoples have their homelands in Central Asia, where the Turkic peoples settled from China. According to historian John Foster, "The Turks emerge from among the Huns in the middle of [the] fifth century. They were living in Liang territory when it began to be overrun by the greater principality of Wei. Preferring to remain under the rule of their own kind, they moved westward into what is now the province of Kansu. This was the territory of kindred Huns, who were called the Rouran. The Turks were a small tribe of only five hundred families, and they became serfs to the Rouran, who used them as iron-workers. It is thought that the original meaning of "Turk" is "helmet", and that they may have taken this name because of the shape of one of the hills near which they worked. As their numbers and power grew, their chief made bold to ask for the hand of a Rouran princess in marriage. The demand was refused, and war followed. In 546, the iron-workers defeated their overlords." Since then Turkic languages have spread, through migrations and conquests, to other locations including present-day Turkey. While the term "Turk" may refer to a member of any Turkic people, the term Turkish usually refers specifically to the people and language of the modern country of Turkey. The Turkic languages constitute a language family of some 30 languages, spoken across a vast area from Eastern Europe and the Mediterranean, to Siberia and Western China, and through to the Middle East. 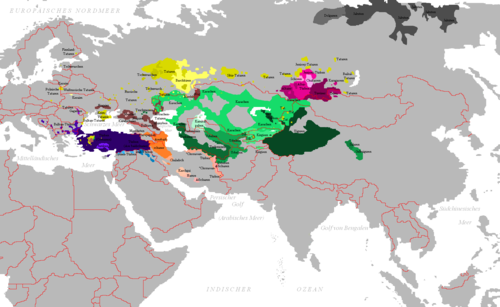 Some 170 million people have a Turkic language as their native language;  an additional 20 million people speak a Turkic language as a second language. The Turkic language with the greatest number of speakers is Turkish proper, or Anatolian Turkish, the speakers of which account for about 40% of all Turkic speakers. More than one third of these are ethnic Turks of Turkey, dwelling predominantly in Turkey proper and formerly Ottoman-dominated areas of Eastern Europe and West Asia; as well as in Western Europe, Australia and the Americas as a result of immigration. The remainder of the Turkic people are concentrated in Central Asia, Russia, the Caucasus, China, and northern Iraq. At present, there are six independent Turkic countries: Azerbaijan, Kazakhstan, Kyrgyzstan, Turkmenistan, Turkey, Uzbekistan; There are also several Turkic national subdivisions  in the Russian Federation including Bashkortostan, Tatarstan, Chuvashia, Khakassia, Tuva, Yakutia, the Altai Republic, Kabardino-Balkaria, and Karachayevo-Cherkessiya. Each of these subdivisions has its own flag, parliament, laws, and official state language (in addition to Russian). The Xinjiang Uyghur Autonomous Region in western China and the autonomous region of Gagauzia, located within eastern Moldova and bordering Ukraine to the north, are two major autonomous Turkic regions. The Autonomous Republic of Crimea within Ukraine is a home of Crimean Tatars. In addition, there are several communities found in Iraq, Georgia, Bulgaria, the Republic of North Macedonia, Tajikistan, Afghanistan, and western Mongolia. The Turks in Turkey are over 60 million  to 70 million worldwide, while the second largest Turkic people are the Azerbaijanis, numbering 22 to 38 million worldwide; most of them live in Azerbaijan and Iran. Turks in India are very small in number. There are barely 150 Turkish people from Turkey in India. These are recent immigrants. Descendants of Turkish rulers also exist in Northern India. Mughals who are part Turkic people also live in India in significant numbers. They are descendants of the Mughal rulers of India. Karlugh Turks are also found in the Haraza region and in smaller number in Azad Kashmir region of Pakistan. Small amount of Uyghurs are also present in India. Turks also exist in Pakistan in similar proportions. One of the tribe in Hazara region of Pakistan is Karlugh Turks which is direct descendant of Turks of Central Asia. Turkish influence in Pakistan can be seen through the national language, Urdu, which comes from a Turkish word meaning "horde" or "army". The Western Yugur at Gansu in China, Salar at Qinghai in China, the Dolgan at Krasnoyarsk Krai in Russia, and the Nogai at Dagestan in Russia are the Turk minorities in the respective regions. There are several international organizations created with the purpose of furthering cooperation between countries with Turkic-speaking populations, such as the Joint Administration of Turkic Arts and Culture (TÜRKSOY) and the Parliamentary Assembly of Turkic-speaking Countries (TÜRKPA). The newly established Turkic Council, founded on November 3, 2009 by the Nakhchivan Agreement confederation, Kazakhstan, Kyrgyzstan and Turkey, aims to integrate these organizations into a tighter geopolitical framework. The TAKM – Organization of the Eurasian Law Enforcement Agencies with Military Status, established on 25 January 2013. The distribution of people of Turkic cultural background ranges from Siberia, across Central Asia, to Eastern Europe. As of 2011 [update] the largest groups of Turkic people live throughout Central Asia—Kazakhstan, Kyrgyzstan, Turkmenistan, Uzbekistan, and Azerbaijan, in addition to Turkey and Iran. Additionally, Turkic people are found within Crimea, Altishahr region of western China, northern Iraq, Israel, Russia, Afghanistan, and the Balkans: Moldova, Bulgaria, Romania, and former Yugoslavia. A small number of Turkic people also live in Vilnius, the capital of Lithuania. Small numbers inhabit eastern Poland and the south-eastern part of Finland. There are also considerable populations of Turkic people (originating mostly from Turkey) in Germany, United States, and Australia, largely because of migrations during the 20th century. Sometimes ethnographers group Turkic people into six branches: the Oghuz Turks, Kipchak, Karluk, Siberian, Chuvash, and Sakha/Yakut branches. The Oghuz have been termed Western Turks, while the remaining five, in such a classificatory scheme, are called Eastern Turks. The Turkic people display a great variety of ethnic types. They possess physical features ranging from Caucasoid to Northern Mongoloid. 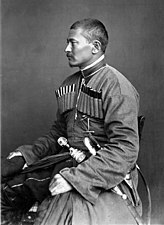 Mongoloid and Caucasoid facial structure is common among many Turkic groups, such as Chuvash people, Tatars, Kazakhs, Uzbeks, and Bashkirs. List of countries by past and future population provide 1950, 2000 and 2050 population while the year 2100 is taken from United Nations data[ citation needed ]. 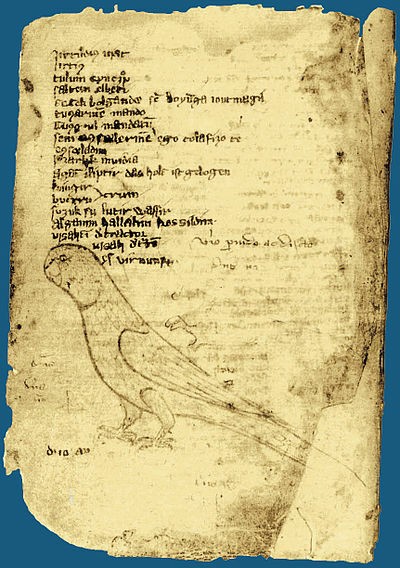 A page from "Codex Kumanicus". The Codex was designed in order to help Catholic missionaries communicate with the Kumans. The Turkic alphabets are sets of related alphabets with letters (formerly known as runes), used for writing mostly Turkic languages. Inscriptions in Turkic alphabets were found in Mongolia. Most of the preserved inscriptions were dated to between 8th and 10th centuries CE. The earliest positively dated and read Turkic inscriptions date from c. 150, and the alphabets were generally replaced by the Old Uyghur alphabet in the Central Asia, Arabic script in the Middle and Western Asia, Cyrillic in Eastern Europe and in the Balkans, and Latin alphabet in Central Europe. The latest recorded use of Turkic alphabet was recorded in Central Europe's Hungary in 1699 CE. The Turkic runiform scripts, unlike other typologically close scripts of the world, do not have a uniform palaeography as, for example, have the Gothic runes, noted for the exceptional uniformity of its language and paleography. The Turkic alphabets are divided into four groups, the best known of them is the Orkhon version of the Enisei group. The Orkhon script is the alphabet used by the Göktürks from the 8th century to record the Old Turkic language. It was later used by the Uyghur Empire; a Yenisei variant is known from 9th-century Kyrgyz inscriptions, and it has likely cousins in the Talas Valley of Turkestan and the Old Hungarian script of the 10th century. The various Turkic languages are usually considered in geographical groupings: the Oghuz (or Southwestern) languages, the Kypchak (or Northwestern) languages, the Eastern languages (like Uygur), the Northern languages (like Altay and Yakut), and one existing Oghur language: Chuvash (the other Oghur languages, like Volga Bulgarian, are now extinct). The high mobility and intermixing of Turkic peoples in history makes an exact classification extremely difficult. The Turkish language belongs to the Oghuz subfamily of Turkic. It is for the most part mutually intelligible with the other Oghuz languages, which include Azerbaijani, Gagauz, Turkmen and Urum, and to a varying extent with the other Turkic languages. A shaman doctor of Kyzyl. Pre-Islamic Turkic mythology was dominated by Shamanism, Animism and Tengrism. The Turkic animistic traditions were mostly focused on ancestor worship, polytheistic-animism and shamanism. Later this animistic tradition would form the more organized Tengrism. The chief deity was Tengri, a sky god, worshipped by the upper classes of early Turkic society until Manichaeism was introduced as the official religion of the Uyghur Empire in 763. Tibetan Buddhism, or Vajrayana was the main religion after Manichaeism. They worshipped Täŋri Täŋrisi Burxan,  Quanšï Im Pusar  and Maitri Burxan. Turkic Muslim conquest in the Indian subcontinent and west Xinjiang attributed with a rapid and almost total disappearance of it and other religions in North India and Central Asia. The Sari Uygurs "Yellow Yughurs" of Western China, as well as the Tuvans and Altai of Russia are the only remaining Buddhist Turkic peoples. Even though many Turkic peoples became Muslims under the influence of Sufis, often of Shī‘ah persuasion, most Turkic people today are Sunni Muslims, although a significant number in Turkey are Alevis. Alevi Turks, who were once primarily dwelling in eastern Anatolia, are today concentrated in major urban centers in western Turkey with the increased urbanism. Images of Buddhist and Manichean Turkic Uyghurs from the Bezeklik caves and Mogao grottoes. Uyghur king from Turfan, from the murals at the Dunhuang Mogao Caves. Uyghur prince from the Bezeklik murals. 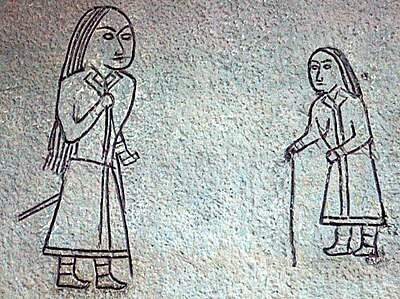 Uyghur woman from the Bezeklik murals. Uyghur Princesses from the Bezeklik murals. Uyghur Princes from the Bezeklik murals. Uyghur noble from the Bezeklik murals. Uyghur Manichaean Elect depicted on a temple banner from Qocho. Uyghur donor from the Bezeklik murals. Uyghur Manichaean Electae from Qocho. Uyghur Manichaean clergymen from Qocho. Fresco of Palm Sunday from Qocho. Khan Omurtag of Bulgaria, from the Chronicle of John Skylitzes. Altai man in national suit on horseback. Azerbaijani girls in traditional dress. 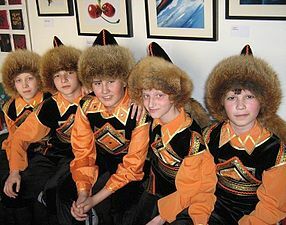 Bashkir boys in national dress. A Chuvash woman in traditional dress. A female Chuvash dancer in traditional dress. Young and old Gagauz people. Karachay patriarchs in the 19th century. Kazakh family inside a Yurt. Khakas people with traditional instruments. Kyrgyz elders in On-Archa, Kyrgyzstan. Nogai man in national costume. U.S. Secretary of State Hillary Clinton visits Tatarstan. Turkmen girl in national dress. 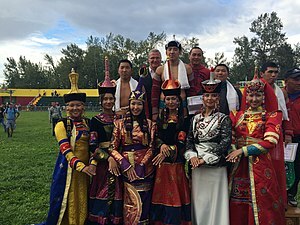 Tuvan men and women in Kyzyl, Tuva. Two Uyghur elders from Turpan. An Uyghur girl - a natural blond with epicanthic fold in Xinjiang, China. The Göktürks, Celestial Turks, Blue Turks or Kok Turks were a nomadic confederation of Turkic peoples in medieval Inner Asia. The Göktürks, under the leadership of Bumin Qaghan and his sons, succeeded the Rouran Khaganate as the main power in the region and established the Turkic Khaganate, one of several nomadic dynasties which would shape the future geolocation, culture, and dominant beliefs of Turkic peoples. The Uzbeks are a Turkic ethnic group; the largest Turkic ethnic group in Central Asia. They comprise the majority population of Uzbekistan but are also found as a minority group in Afghanistan, Tajikistan, Kyrgyzstan, Kazakhstan, Turkmenistan, Russia and China. Uzbek diaspora communities also exist in Turkey, Saudi Arabia, and Pakistan. Turkestan, also spelt Turkistan, refers to an area in Central Asia between Siberia to the north and Iran, Afghanistan, and Tibet to the south, the Caspian Sea to the west and the Gobi Desert to the east. The Kara-Khanid Khanate was a Turkic dynasty that ruled in Transoxania in Central Asia, ruled by a dynasty known in literature as the Karakhanids or Ilek Khanids. Both the dynastic names of Karakhanids and Ilek Khanids refer to royal titles with Kara Kağan being the most important Turkish title up till the end of the dynasty. The Kazakhs are a Turkic people who mainly inhabit the Ural mountains and northern parts of Central Asia, the region also known as the Eurasian sub-continent. Kazakh identity is of medieval origin and was strongly shaped by the foundation of the Kazakh Khanate between 1456 and 1465, when several tribes under the rule of the sultans Zhanibek and Kerey departed from the Khanate of Abu'l-Khayr Khan. The proto-Mongols emerged from an area that had been inhabited by humans and predecessor hominin species as far back as the Stone Age over 800,000 years ago. The people there went through the Bronze and Iron Ages, forming tribal alliances, peopling, and coming into conflict with early China. Turkmens are a nation and Turkic ethnic group native to Central Asia, primarily the Turkmen nation state of Turkmenistan. Smaller communities are also found in Iran, Afghanistan and North Caucasus. They speak the Turkmen language, which is classified as a part of the Eastern Oghuz branch of the Turkic languages. Examples of other Oghuz languages are Turkish, Azerbaijani, Qashqai, Gagauz, Khorasani, and Salar. The Karluks were a prominent nomadic Turkic tribal confederacy residing in the regions of Kara-Irtysh and the Tarbagatai Mountains west of the Altay Mountains in Central Asia. They were also known as the Gelolu. They were closely related to the Uyghurs. Karluks gave their name to the distinct Karluk group of the Turkic languages, which also includes the Uyghur, Uzbek, and Ili Turki languages. Sart is a name for the settled inhabitants of Central Asia and the Middle East, which has had shifting meanings over the centuries. Sarts, known sometimes as Ak-Sart in ancient times, did not have any particular ethnic identification, and were usually town-dwellers. The recorded history of the area now known as Xinjiang dates to the 2nd millennium BC. There have been many empires, primarily Han Chinese, Turkic, and Mongol, that have ruled over the region, including the Yuezhi, Xiongnu, Han dynasty, Gaochang, Kingdom of Khotan, Sixteen Kingdoms of the Jin dynasty, Turkic Khaganate, Tang dynasty, Tibetan Empire, Uyghur Khaganate, Kara-Khanid Khanate, Kingdom of Qocho, Qara Khitai, Mongol Empire, Yuan dynasty, Chagatai Khanate, Yarkent Khanate, Dzungar Khanate, and Qing dynasty. Xinjiang was previously known as "Xiyu", under the Han dynasty, which drove the Xiongnu empire out of the region in 60 BCE in an effort to secure the profitable Silk Road, but was renamed Xinjiang when the region was reconquered by the Manchu-led Qing dynasty in 1759. Xinjiang is now a part of the People's Republic of China, having been so since its founding year of 1949. The Eastern Turkic Khaganate was a Turkic khaganate formed as a result of the internecine wars in the beginning of the 7th century after the Göktürk Khaganate had splintered into two polities – Eastern and Western. Finally, the Eastern Turkic power was absorbed by the Chinese Tang Empire. The Turkic Khaganate or Göktürk Khaganate was a khaganate established by the Ashina clan of the Göktürks in medieval Inner Asia. Under the leadership of Bumin Qaghan and his sons, the Ashina succeeded the Rouran Khaganate as the hegemonic power of the Mongolian Plateau and rapidly expanded their territories in Central Asia. Initially the Khaganate would use Sogdian in official and numismatic functions. It was the first Turkic state to use the name Türk politically and is known for the first written record of any Turkic language in history. Uyghur nationalist historians in the People's Republic of China and the United States posit that the Uyghur people is millennia-old, and can be divided into four distinct phases: Pre-Imperial, Imperial, Idiqut, and Mongol, with perhaps a fifth modern phase running from the death of the Silk Road in AD 1600 until the present. In brief, Uyghur history is the story of a small nomadic tribe from the Altai Mountains competing with rival powers in Central Asia, including other Altaic tribes, Indo-European empires from the south and west, and Sino-Tibetan empires to the east. After the collapse of the Uyghur Khaganate in AD 840, ancient Uyghur resettled from Mongolia to the Tarim Basin, assimilating the Indo-European population, which had previously been driven out of the region by the Xiongnu. Ultimately, the Uyghurs became civil servants administering the Mongol Empire. The historical area of what is modern day Xinjiang consisted of the distinct areas of the Tarim Basin and Dzungaria, and was populated by Indo-European Tocharians and Saka peoples, who practiced Buddhism. They came under Chinese rule in the Han dynasty as the Protectorate of the Western Regions due to wars between the Han dynasty and the Xiongnu and again in the Tang dynasty as the Protectorate General to Pacify the West due to wars between the Tang dynasty and the Turkic Khaganates. The Tang dynasty withdrew its control of Xinjiang in the Protectorate General to Pacify the West and the Four Garrisons of Anxi after the An Lushan Rebellion, after which the Turkic peoples living in the area converted to Islam. ↑ "Azerbaijani (people)". Encyclopædia Britannica. Retrieved 24 January 2012. ↑ "China". The World Factbook. Retrieved 13 May 2014. ↑ "Azerbaijan". The World Factbook. Retrieved 30 July 2016. "Population: 9,780,780 (July 2015 est.)" ↑ "Turkmenistan". The World Factbook. Retrieved 13 May 2014. ↑ "Kyrgyzstan". The World Factbook. Retrieved 13 May 2014. ↑ "Afghanistan". The World Factbook. Retrieved 13 May 2014. ↑ "Iraq". The World Factbook. Retrieved 13 May 2014. ↑ "Tajikistan". The World Factbook. Retrieved 13 May 2014. ↑ "Obama, recognize us". St. Louis American. Retrieved 18 March 2015. ↑ Nahost-Informationsdienst ( ISSN 0949-1856): Presseausschnitte zu Politik, Wirtschaft und Gesellschaft in Nordafrika und dem Nahen und Mittleren Osten. Autors: Deutsches Orient–Institut; Deutsches Übersee–Institut. Hamburg: Deutsches Orient–Institut, 1996, seite 33. ↑ "All-Ukrainian population census 2001 – General results of the census – National composition of population". State Statistics Committee of Ukraine. 2003. Retrieved 2 September 2017. ↑ "Mongolia". The World Factbook. Retrieved 13 May 2014. ↑ Al-Akhbar. "Lebanese Turks Seek Political and Social Recognition" . Retrieved 2 March 2012. ↑ "Tension adds to existing wounds in Lebanon". Today's Zaman. Archived from the original on 11 January 2012. Retrieved 6 April 2011. ↑ Syrian Observer (2015). "Syria's Turkmen Refugees Face Cruel Reality in Lebanon" . Retrieved 10 October 2016. ↑ "Moldova". The World Factbook. Retrieved 13 May 2014. ↑ "North Macedonia". The World Factbook. Retrieved 13 May 2014. ↑ "GREEK HELSINKI MONITOR". Minelres.lv. Retrieved 12 December 2017. ↑ "Demographics of Greece". European Union National Languages. Retrieved 19 December 2010. ↑ "Destroying Ethnic Identity: The Turks of Greece" (PDF). Human Rights Watch . Retrieved 3 January 2018. ↑ "Turks Of Western Thrace". Human Rights Watch . Retrieved 3 January 2018. ↑ "新亞研究所 – 典籍資料庫". Archived from the original on 21 February 2014. Retrieved 18 March 2015. ↑ Prof. Dr. Ercümend Kuran, Türk Adı ve Türklük Kavramı, Türk Kültürü Dergisi, Yıl, XV, S. 174, Nisan 1977. s. 18–20. ↑ Peter B. Golden, Introduction to the History of the Turkic People, p. 12: "... source (Herod.IV.22) and other authors of antiquity, Togarma of the Old Testament, Turukha/Turuska of Indic sources, Turukku of Assyrian..."
↑ András Róna-Tas, Hungarians and Europe in the early Middle Ages: an introduction to early Hungarian history, Central European University Press, 1999, p. 281: "We can now reconstruct the history of the ethnic name Turk as follows. The word is of East Iranian, most probably Saka, origin, and is the name of a ruling tribe whose leading clan Ashina conquered the Turks, reorganized them, but itself became rapidly Turkified." ↑ Golden, Peter B. "Some Thoughts on the Origins of the Turks and the Shaping of the Turkic Peoples". (2006) In: Contact and Exchange in the Ancient World. Ed. Victor H. Mair. University of Hawai'i Press. p. 143: "Subsequently, "Tùrk" would find a suirable Turkic etymology, being conflated with the word tùrk, which means one in the prime of youth, powerful, mighty (Rona-Tas 1991,10–13)." 1 2 “Türk” in Turkish Etymological Dictionary, Sevan Nişanyan. ↑ “türe-” in Turkish Etymological Dictionary, Sevan Nişanyan. ↑ “*töŕ” in Sergei Starostin, Vladimir Dybo, Oleg Mudrak (2003), Etymological Dictionary of the Altaic Languages, Leiden: Brill Academic Publishers. ↑ Jean-Paul Roux, Historie des Turks – Deux mille ans du Pacifique á la Méditerranée. Librairie Arthème Fayard, 2000. ↑ Marshall Cavendish Corporation (2006). Peoples of Western Asia. p. 364. ↑ Bosworth, Clifford Edmund (2007). Historic Cities of the Islamic World. p. 280. ↑ Borrero, Mauricio (2009). Russia: A Reference Guide from the Renaissance to the Present. p. 162. ↑ "(PDF) Transeurasian theory: A case of farming/language dispersal". ResearchGate. Retrieved 2019-03-13. 1 2 Findley (2005), p. 29. ↑ "丁零—铁勒的西迁及其所建西域政权". Archived from the original on 15 July 2015. Retrieved 18 March 2015. ↑ "Etienne de la Vaissiere", Encyclopædia Iranica article:Sogdian Trade Archived 2009-12-20 at the Wayback Machine , 1 December 2004. ↑ "Yeni Turkiye Research and Publishing Center" . Retrieved 18 March 2015. ↑ "An Introduction to the Turkic Tribes" . Retrieved 18 March 2015. ↑ "An outline of Turkish History until 1923" . Retrieved 18 March 2015. ↑ Lebedynsky (2006), p. 59. ↑ Nicola di Cosmo, Ancient China and its Enemies, S. 163ff. ↑ Ebrey, Patricia Buckley (2010). The Cambridge Illustrated History of China (2nd ed.). Cambridge University Press. p. 69. ISBN 978-0-521-12433-1. ↑ Psarras, Sophia-Karin (2003). "Han and Xiongnu: A Reexamination of Cultural and Political Relations (I)". Monumenta Serica. 51: 55–236. JSTOR 40727370. ↑ Ulrich Theobald. "Chinese History – Xiongnu 匈奴 (www.chinaknowledge.de)" . Retrieved 18 March 2015. ↑ "The Origins of the Huns" . Retrieved 18 March 2015. ↑ VAJDA, Edward J. (2008). "Yeniseic" a chapter in the book Language isolates and microfamilies of Asia, Routledge, to be co-authored with Bernard Comrie; 53 pages). ↑ "Otto Maenchen-Helfen, Language of Huns" . Retrieved 18 March 2015. ↑ "the Mughal dynasty" . Retrieved 18 March 2015. ↑ "Kamat's Potpourri" . Retrieved 18 March 2015. ↑ "Peoples of Iran" Encyclopædia Iranica. RN Frye. ↑ Yarshater 2001, p. 493. ↑ Khanbaghi 2006, p. 130. ↑ Anthony Bryer. "Greeks and Türkmens: The Pontic Exception", Dumbarton Oaks Papers, Vol. 29 (1975), Appendix II "Genealogy of the Muslim Marriages of the Princesses of Trebizond"
↑ E. Yarshater, "Iran", . Encyclopædia Iranica. "The origins of the Safavids are clouded in obscurity. They may have been of Kurdish origin (see R. Savory, Iran Under the Safavids, 1980, p. 2; R. Matthee, "Safavid Dynasty" at iranica.com), but for all practical purposes they were Turkish-speaking and Turkified. " ↑ John L. Esposito, The Oxford History of Islam, Oxford University Press US, 1999. pp 364: "To support their legitimacy, the Safavid dynasty of Iran (1501–1732) devoted a cultural policy to establish their regime as the reconstruction of the historic Iranian monarchy. To the end, they commissioned elaborate copies of the Shahnameh, the Iranian national epic, such as this one made for Tahmasp in the 1520s." ↑ Ira Marvin Lapidus, A history of Islamic Societies, Cambridge University Press, 2002, 2nd edition. pg 445: To bolster the prestige of the state, the Safavid dynasty sponsored an Iran-Islamic style of culture concentrating on court poetry, painting, and monumental architecture that symbolized not only the Islamic credentials of the state but also the glory of the ancient Persian traditions." ↑ Helen Chapin Metz. Iran, a Country study. 1989. University of Michigan, p. 313. ↑ Emory C. Bogle. Islam: Origin and Belief. University of Texas Press. 1989, p. 145. ↑ Stanford Jay Shaw. History of the Ottoman Empire. Cambridge University Press. 1977, p. 77. ↑ Andrew J. Newman, Safavid Iran: Rebirth of a Persian Empire, IB Tauris (March 30, 2006). ↑ RM Savory, Safavids, Encyclopedia of Islam , 2nd ed. ↑ Robert Dankoff (2008). From Mahmud Kaşgari to Evliya Çelebi. Isis Press. p. 81. ISBN 978-975-428-366-2. 1 2 Dankoff, Robert (Jan–Mar 1975). "Kāšġarī on the Beliefs and Superstitions of the Turks". Journal of the American Oriental Society. 95 (1): 68–80. doi:10.2307/599159. JSTOR 599159. ↑ Hamilton Alexander Rosskeen Gibb; Bernard Lewis; Johannes Hendrik Kramers; Charles Pellat; Joseph Schacht (1998). The Encyclopaedia of Islam. Brill. p. 689. ↑ Robert Dankoff (2008). From Mahmud Kaşgari to Evliya Çelebi. Isis Press. p. 79. ISBN 978-975-428-366-2. ↑ Mehmet Fuat Köprülü; Gary Leiser; Robert Dankoff (2006). Early Mystics in Turkish Literature. Psychology Press. pp. 147–. ISBN 978-0-415-36686-1. ↑ Harvard Ukrainian Research Institute (1980). Harvard Ukrainian studies. Harvard Ukrainian Research Institute. p. 160. ↑ Millward, James A. (2007). Eurasian Crossroads: A History of Xinjiang (illustrated ed.). Columbia University Press. p. 43. ISBN 978-0231139243 . Retrieved 10 March 2014. ↑ James A. Millward (2007). Eurasian Crossroads: A History of Xinjiang. Columbia University Press. pp. 69–. ISBN 978-0-231-13924-3. ↑ Hamilton Alexander Rosskeen Gibb; Bernard Lewis; Johannes Hendrik Kramers; Charles Pellat; Joseph Schacht (1998). The Encyclopaedia of Islam. Brill. p. 677. ↑ Whitfield, Susan (2010). "A place of safekeeping? The vicissitudes of the Bezeklik murals" (PDF). In Agnew, Neville (ed.). Conservation of ancient sites on the Silk Road: proceedings of the second International Conference on the Conservation of Grotto Sites, Mogao Grottoes, Dunhuang, People's Republic of China. Getty Publications. pp. 95–106. ISBN 978-1-60606-013-1. Archived from the original (PDF) on 2012-10-30. ↑ The Turks of the Eurasian Steppes in Medieval Arabic Writing, R. Amitai, M. Biran, eds., Mongols, Turks and Others: Eurasian Nomads and the Sedentary World. Leyde, Brill, 2005, pp. 222–3. ↑ Reuven Amitai; Michal Biran (2005). Mongols, Turks, and Others: Eurasian Nomads and the Sedentary World. Brill. p. 222. ISBN 978-90-04-14096-7. ↑ André Wink (2002). Al-Hind: The Slavic Kings and the Islamic conquest, 11th–13th centuries. BRILL. pp. 69–. ISBN 978-0-391-04174-5. ↑ Pritsak O. & Golb. N: Khazarian Hebrew Documents of the Tenth Century, Ithaca: Cornell Univ. Press, 1982. ↑ "Timur Archived 2013-09-22 at the Wayback Machine ", The Columbia Encyclopedia, Sixth Edition, 2001–05, Columbia University Press. ↑ Walton, Linda (2013). World History: Journeys from Past to Present. p. 210. ↑ Foster, John (1939). The Church of the Tang Dynasty. Macmillan. p. 13. ↑ Turkic Language family tree entries provide the information on the Turkic-speaking populations and regions. 1 2 Katzner, Kenneth (March 2002). Languages of the World, Third Edition. Routledge, an imprint of Taylor & Francis Books Ltd. ISBN 978-0-415-25004-7. ↑ "Türkiye'deki Kürtlerin sayısı!" [The number of Kurds in Turkey!]. Milliyet (in Turkish). 6 June 2008. Retrieved 16 November 2016. 1 2 3 4 5 "The Horseback Kitchen of Central Asia". Food on the Move. Oxford Symposium on Food and Cookery. 1996. Retrieved 2018-07-16. ↑ mrreese. "The Ancient Practice of Tengriism, Shamanism and Ancient Worship of the Sky Gods". www.ancient-origins.net. Retrieved 2019-04-18. ↑ "关于回鹘摩尼教史的几个问题" . Retrieved 18 March 2015. ↑ "元明时期的新疆藏传佛教". Archived from the original on 4 March 2016. Retrieved 18 March 2015. ↑ "回鹘文《陶师本生》及其特点". Archived from the original on 6 May 2013. Retrieved 18 March 2015. ↑ "回鶻彌勒信仰考" . Retrieved 18 March 2015. ↑ "景教艺术在西域之发现" . Retrieved 18 March 2015. ↑ "景教在西域的传播". Archived from the original on 4 March 2016. Retrieved 18 March 2015. ↑ "新闻_星岛环球网" . Retrieved 18 March 2015. ↑ "Kyrgyz Religious Hatred Trial Throws Spotlight On Ancient Creed". RadioFreeEurope/RadioLiberty. Retrieved 2019-04-18. ↑ "Religion in Kazakhstan". WorldAtlas. Retrieved 2019-04-18. ↑ Mayor, Adrienne. The Amazons: Lives and Legends of Warrior Women across the Ancient World. Princeton University Press. ↑ Burak, Sansal. "Turkish Jereed (Javelin)". All About Turkey. Retrieved 16 November 2016. ↑ Christensen, karen; Levinson, David. Encyclopedia of World Sport: From Ancient Times to the Present. Baichorov S.Ya., "Ancient Turkic runic monuments of the Europe", Stavropol, 1989 (in Russian). Baskakov, N.A. 1962, 1969. Introduction to the study of the Turkic languages. Moscow (in Russian). Boeschoten, Hendrik & Lars Johanson. 2006. Turkic languages in contact. Turcologica, Bd. 61. Wiesbaden: Harrassowitz. ISBN 3-447-05212-0. Chavannes, Édouard (1900): Documents sur les Tou-kiue (Turcs) occidentaux. Paris, Librairie d'Amérique et d'Orient. Reprint: Taipei. Cheng Wen Publishing Co. 1969. Peter B. Golden (1 January 1992). An Introduction to the History of the Turkic Peoples: Ethnogenesis and State-formation in Medieval and Early Modern Eurasia and the Middle East. O. Harrassowitz. ISBN 978-3-447-03274-2. Heywood, Colin. The Turks (The Peoples of Europe) (Blackwell 2005), ISBN 978-0-631-15897-4. Hostler, Charles Warren. The Turks of Central Asia (Greenwood Press, November 1993), ISBN 0-275-93931-6. Ishjatms N., "Nomads In Eastern Central Asia", in the "History of civilizations of Central Asia", Volume 2, UNESCO Publishing, 1996, ISBN 92-3-102846-4. Johanson, Lars. 1998. "Turkic languages." In: Encyclopædia Britannica. CD 98. Encyclopædia Britannica Online, 5 September. 2007. Turkic languages: Linguistic history. Kyzlasov I.L., "Runic Scripts of Eurasian Steppes", Moscow, Eastern Literature, 1994, ISBN 5-02-017741-5. Lebedynsky, Iaroslav. (2006). Les Saces: Les « Scythes » d'Asie, VIIIe siècle apr. J.-C. Editions Errance, Paris. ISBN 2-87772-337-2. Malov S.E., "Monuments of the ancient Turkic inscriptions. Texts and research", M.-L., 1951 (in Russian). Mukhamadiev A., "Turanian Writing", in "Problems Of Lingo-Ethno-History Of The Tatar People", Kazan, 1995 (Азгар Мухамадиев, "Туранская Письменность", "Проблемы лингвоэтноистории татарского народа", Казань, 1995) (in Russian). Vasiliev D.D. Graphical fund of Turkic runiform writing monuments in Asian areal. М., 198 (in Russian). Vasiliev D.D. Corpus of Turkic runiform monuments in the basin of Enisei. М., 1983 (in Russian). Khanbaghi, Aptin (2006). The Fire, the Star and the Cross: Minority Religions in Medieval and Early Modern Iran. I.B. Tauris. ISBN 978-1845110567. Yarshater, Ehsan (2001). Encyclopedia Iranica. Routledge & Kegan Paul. ISBN 978-0933273566. Look up Türk in Wiktionary, the free dictionary. Wikimedia Commons has media related to Turkic peoples . Wikisource has the text of the 1911 Encyclopædia Britannica article Turks . 2 State with limited international recognition.